Harriston Ladies' Night is a popular annual event that takes place in November on the Wednesday after Remembrance Day. Take advantage of special deals from local businesses, delicious treats and more! 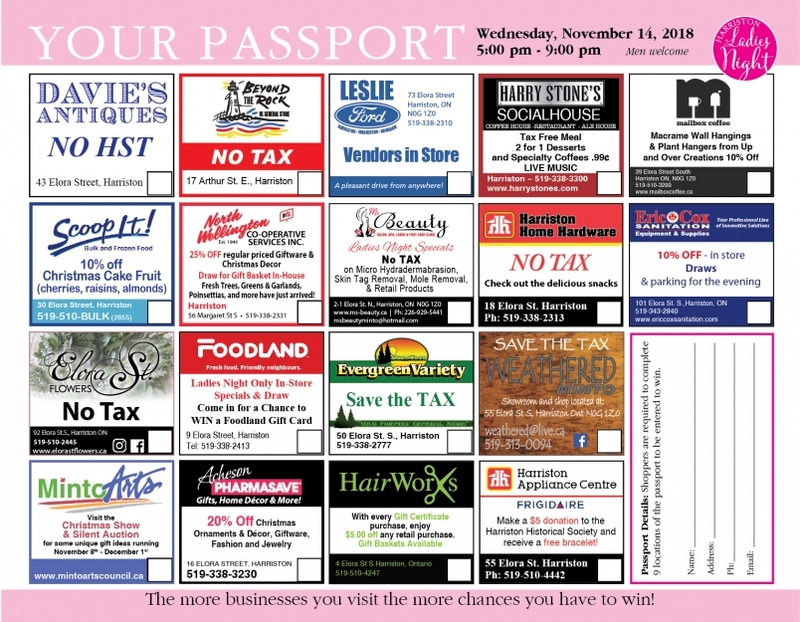 The Downtown businesses in Harriston are gearing up for another night filled with great deals, fun entertainment, and of course, lots of shopping! Take advantage of special deals at local businesses for your holiday shopping. Grab your passport booklet with additional coupons added!